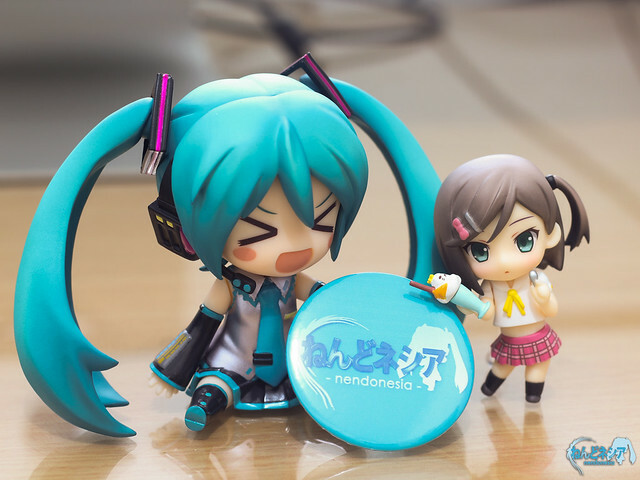 At first, Nendonesia is simply a blog that covers all stuff related to Nendoroids. As time goes by, Nendonesia has been growing into a group of passionate Nendoroid fans and collectors that are actively engaging on community-level interaction with each other – sharing beautiful photos of their Nendoroids and discussing tips for Nendoroid maintenance are common sightings in our Facebook timeline and Twitter page. 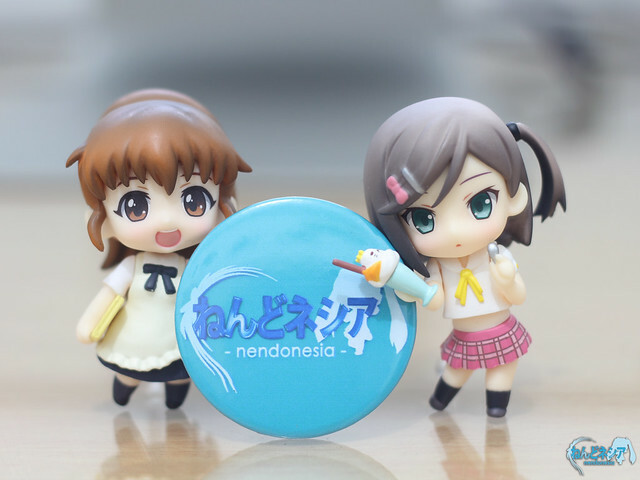 Although Nendonesia is based in Indonesia, we are not limiting the community for Indonesian only; we welcome every Nendoroid lover, no matter where they live or what their backgrounds are. Our mission is to spread the Nendoroid love to everyone and we think that participating in an international scale event such as Anime Festival Asia is a big step toward our goal. We have succesfully setup our first ever exhibition booth at Anime Festival Asia Indonesia (AFAID) 2012 last year, where we managed to raise about Rp 4.000.000 (~US$ 400) to cover the booth fee. It is an awesome achievement for us considering that we are merely a non-profit group of niche hobbyists. This year, we would like to take part in AFAID 2013 by setting up a booth and once again, we need your help to realize our dream. The booth fee for this year’s AFAID have been increased because of (1) the venue for AFAID 2013 is Jakarta Convention Center which is one of the largest and best convention center in Indonesia and (2) AFAID 2013 is now held for 3 days. Rp 6.000.000 (~US$ 600) for booth setup cost: booth fee, decoration, display cases, printing brochures or leaflets, producing banner. Rp 500.000 (US$ 50) for operational cost: transportation for booth-related stuff, logistics, stationeries. We will still covers some other expenses on our own, so those are the minimum budget we need in order to realize the booth project. If you have paid a visit to our booth in AFAID 2012, you should have known what to expect from our booth. 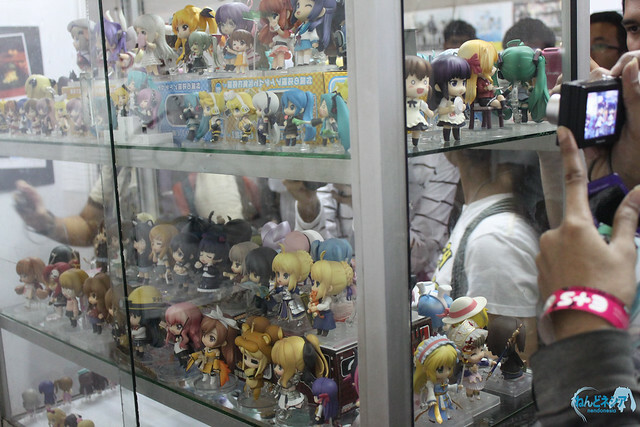 You might want to check this post for a coverage of our booth in AFAID 2012. 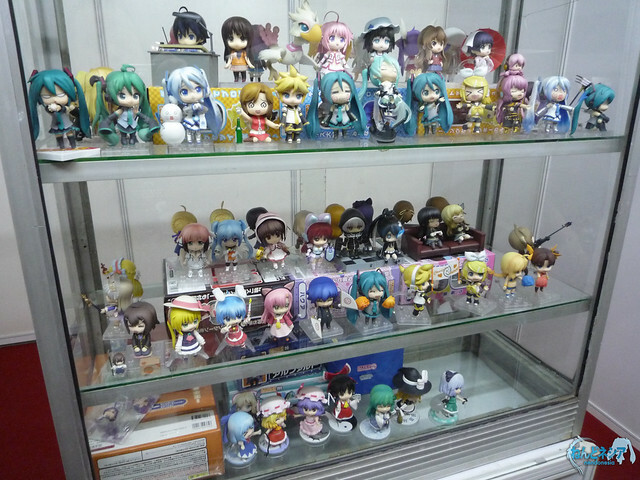 Compared to our booth at AFAID 2012, we are trying something different this time: we are planning to setup some simple diorama in the display case, that will reflect a particular series, e.g: Vocaloid series, Fate series, BRS series, iDOLM@STER series, etc. 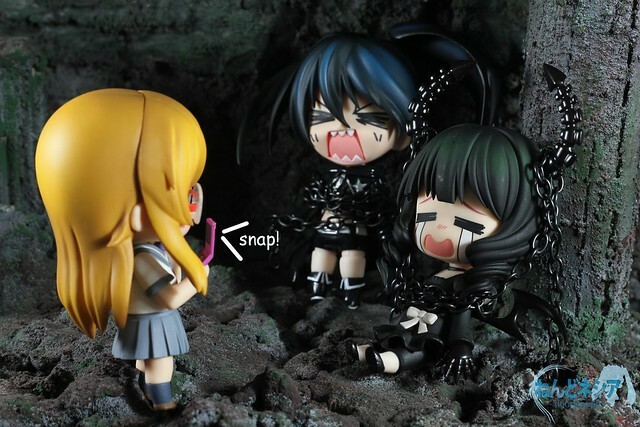 That particular section will only display Nendoroids from the respective series. Anyway, this section will be updated as soon as we have more details about the plan. You will get a personal “Nendonesia Showcase @ AFAID 2013” sponsorship card. Expect something like the sponsorship card for Good Smile Racing that may come with the Nendoroid Racing Miku series. Estimated delivery date will be announced soon. This Donation Reward will be shipped for free within Java island in Indonesia. International shipping charge still applies. 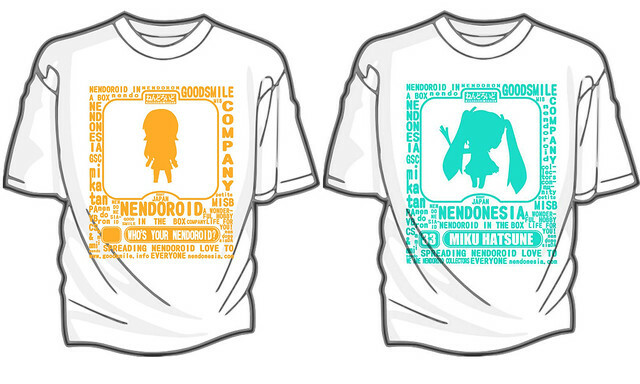 You will get a T-Shirt with a special Nendonesia theme. Available sizes are: S, M, L, XL, XXL. Estimated delivery will be around December 2013. This Donation Package excludes the shipping fee. 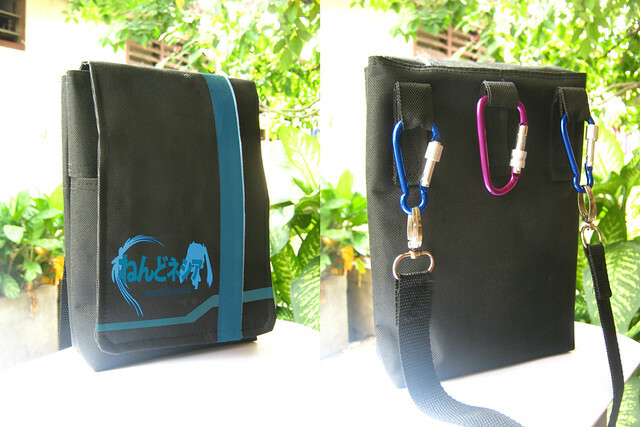 You will get a Scissor Bag with a special Nendonesia theme. 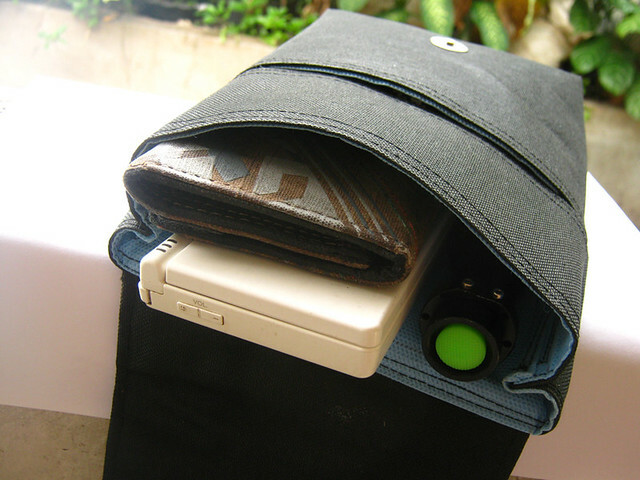 The bag is perfect as multi-purpose storage on-the-go. Estimated delivery will be around December 2013. This Donation Package excludes the shipping fee. You will get a printed copy of the second installment of the famous Nendoroid photobook – The Wandering Fay 2: Nendonesia Special Edition. We will cover further about the photobook below. This Donation Package excludes the shipping fee. 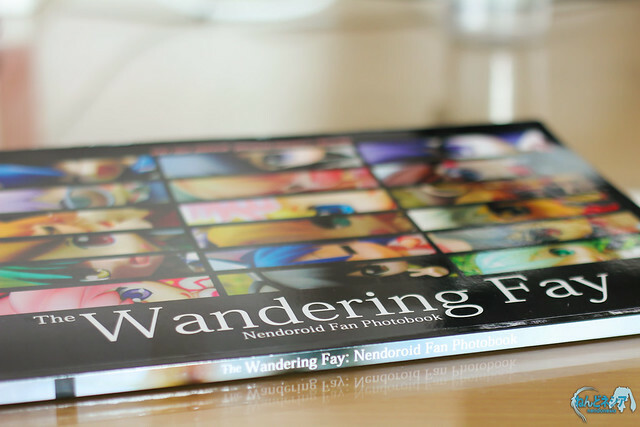 You will get a printed copy of The Wandering Fay 2: Nendonesia Special Edition along with signatures and personal messages from Nendonesia admins in the first page. An A3-sized poster, a bookmark, and a sticker will also be included in this package. This Donation Reward will be shipped for free within Indonesia. International shipping charge still applies. Anyway, there might be more types of Donation Rewards, but it is still being planned and might not even be offered at all. When you have transferred your donation, kindly confirm it by completing this Confirmation Form. Your personal data will only be used for confirmation and shipping purpose, and will not be used or given to third parties. International and PayPal donations will be handled in IndieGogo. UPDATE: As our token of gratitude for your donations, Nendonesian, we would like to add a small bonus for your contribution. Note: Each donator will get the mini badge(s) according to the number of Donation package(s), e.g: Donators getting the Donation B and C will get two mini badges. If you have known about the first installment of The Wandering Fay photobook, then you should have had a general idea of what it is. You can find more about The Wandering Fay project here. Regarding whether the “normal” edition of The Wandering Fay 2 will be released in printed copies, it will depend on the demand for it. That said, the PDF version of The Wandering Fay 2 will not have the “Nendonesia Special Edition” content. We are currently setting up a dedicated page for The Wandering Fay 2: Nendonesia Special Edition project and it will be posted soon. Expected delivery of the photobook will be around January 2014. I want the T-Shirt and The Wandering 2 Photobook. Which donation package should I choose? If you want those two, you have to contribute with both Donation B (Rp 100.000) and Donation D (Rp 250.000) with a total of Rp 350.000. I want 2 (two) T-Shirts! Is it possible to contribute with Donation B twice? Yes. You can even pick different sizes for each T-Shirt. That said, we do impose a limit of how many times a person can contribute to each Donation levels, but we will not disclose it for the time being. I am not from Indonesia and I don’t have any Indonesian bank accounts, but I want to donate. What should I do? As stated above, all international donations, including donations via PayPal, will be handled on our IndieGogo page. I saw that the Donation D reward is 100/120 (-20) available in IndieGogo while in the Nendonesia page, it mentioned 80/120 (-40) available. Does that mean there are only 60 donators available for the Donation D? No, the available stock mention in IndieGogo and Nendonesia are independent of each other, so in this case, there are 100 of Donation D available in IndieGogo and 80 of Donation C available in Nendonesia, as written in respective pages. How can I cancel my donation? Do I get a refund? Sorry, but you cannot cancel your donation and we offer no refund. You will still get your Donation Rewards as part of our commitment to give you gratitude for your donation. Can I switch from Donation A to Donation B? Sorry, but you cannot switch from one Donation to the other. What you can, however, is contributing additional Donations. In this case, you can contribute with Donation B alongside your previous Donation A contribution. The Donation options are too expensive! Your donations will be used solely for the purposes we mentioned in the What We Need section above as well as covering for the Donation Rewards production cost. That is why you might think that the Donation levels are expensive. Note that we take NO PROFIT whatsoever from all of your donations. Any remaining fund will be used as a base fund to cover for Nendonesia’s future events. How do we pay the Shipping Fee? Once the Donation Rewards are ready, we will let you know how much the Shipping Fee will be and how you can pay for it by email. Well, I guess that is all about Nendonesia Showcase @ AFAID 2013 Crowdfunding Project. Kindly post a comment if you have any questions. This entry was posted in News and tagged afaid, anime festival asia, crowdfunding, nendonesia. so can you give me see what does the t shirt look like ? The photo of the T-Shirt will be posted later today. Note that the design has not been finalized yet, but it will look pretty similar to the one in the pic. The post has been updated with design pics. Ok, i will support and donate, i wanna see design t-shirt .__. How much is Donation E in USD (350.000 RP) google is giving me really weird answers much appreciated. It should be around US$35, but I think you should wait for the IndieGogo page if you want to donate via PayPal. Thanks for the heads up!! So for the 70usd one, I encode 95usd instead for shipping right? I really want to support and the item I want the most is the special edition book, however I also want the t-shirt. So my question is whether the Supermarket Sweep ($70 USD) is the regular book or if it is the special edition. I assume that you are referring to the packages in our IndieGogo page. For the time being, the Supermarket Sweep package include the regular photobook (as in the $35 photobook package). However, if we surpass our funding goal, then we might give you the $45 photobook pack instead, for the Supermarket Sweep package. If I donate for two Donation options and one of them includes shipping (e.g. Donation C and E), will the shipping fee be free/included? In that case, you only have to pay for the Donation C’s shipping fee, because the Donation E has its shipping fee included. I plan to donate for plan B. I have ordered a t-shirt from Nendonesia before to give to my friend but XL size was a bit small for my friend so I use it myself. I think XXL will fit but can you provide the sizes in cm for size XL and XXL? Kindly refresh this page. 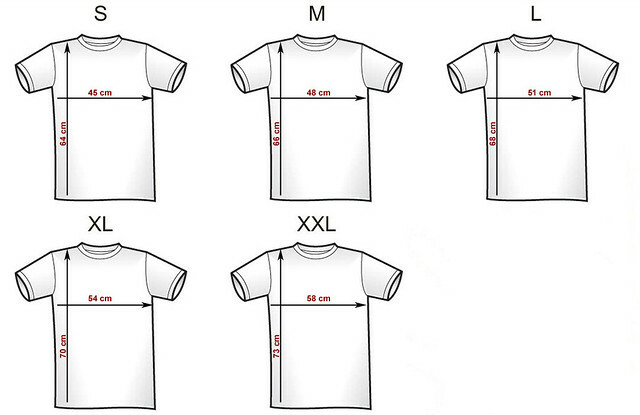 The T-Shirt size chart has been added to the post. 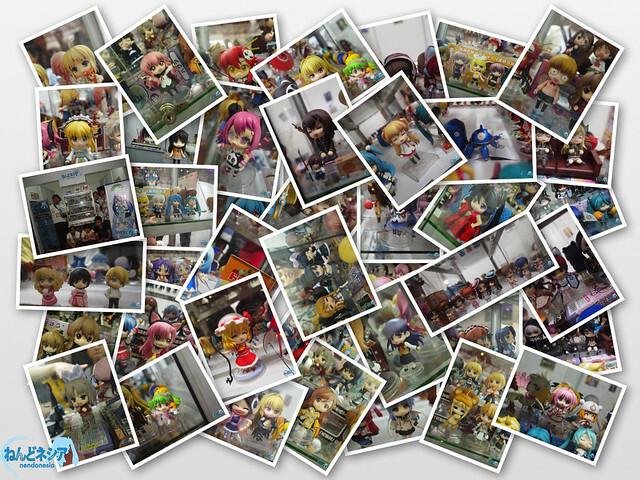 I’m still new as nendoroid collector, but I want to contribute and also want to see you at AFAID 2013. My question is, what should I do first? registering something or send you guys an email? 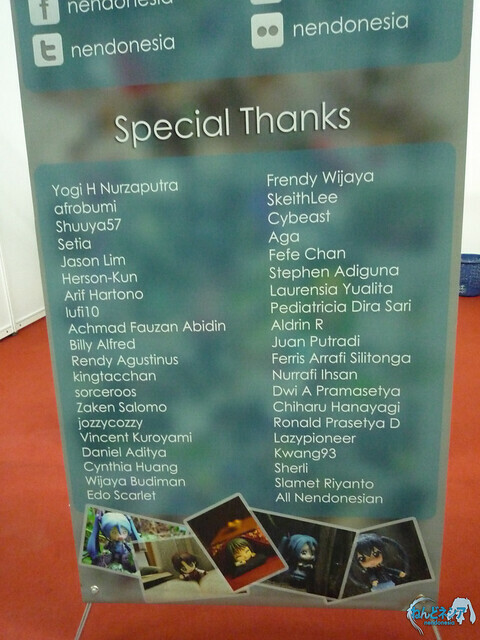 Thank you for your interest to contribute for the Nendonesia Showcase @ AFAID 2013. 1. Choose one or more Donation Package(s) that you are interested in. 2. Transfer the amount of Donation according to the summary of the Donation Package(s) that you have chosen. 3. Fill in the Confirmation Form after you have transferred your donation. How can I confirm if my donation has been listed? The photo submission for The Wandering Fay 2 should begin around mid-September. Yes, the format is more or less similar to the one from The Wandering Fay 1 – after all the one behind the project is still the same. The photo submission and further info will be posted once we are done with the AFAID 2013 booth preparation. Hi, I just want to post a quick Question, if I were to choose donation package B, how much should I give for delivery fee? and further more if I also choose package C could it be send together? Hi there! Regarding the delivery fee, we will calculate it based on the Donation Package(s) and notify you back once all the merchandises are ready to be delivered. Yes, if you choose two or more Donation Packages, they will be delivered together. I have just transfered the donation tonight. And I’m really couldn’t wait to see your booth later. I have donated some for the project and have it confirmed, but How can I know that I am in the donators list? could anyone answer me, please? The donators list will be posted later today. Uugh I just remember now. is the donation still open? I would like to get Donation C.
Yes, it is still open until September 5th. is it possible that I would make a donation at your booth in AFA 2013? Actually, the dateline for the donation period has ended on September 1st. That said, we can still take donations until the end of this week (September 8th) and you will only get the Donation Reward(s). However, your name will not be put in Nendonesia’s banner on AFAID13, because we have already finalized the banner design. Actually whether you put my name or not is not my priority. My priority is to collect your merchandise as your offered above. because I am interested with your T-shirt and also “The Wandering Fay 2” book. So will you sell both of them at your booth? Nendonesia’s booth in AFAID 2013 is a community booth, hence we cannot sell any merchandise there as the booth is considered to be non-profit. If you want to donate, kindly follow the instructions above. Any news on the donation rewards? Not that I expect it too much, but I’ve been so busy lately, I am afraid that I missed something. The production of the donation rewards is currently ongoing. It might be delayed though, due to various circumstances. I was wondering about the update and I hope you got it well with the indiegogo campaign too since there is not much to hope in here. I do really expect the reward(s) to come, but rest assured, just assume mine was a pure donation.